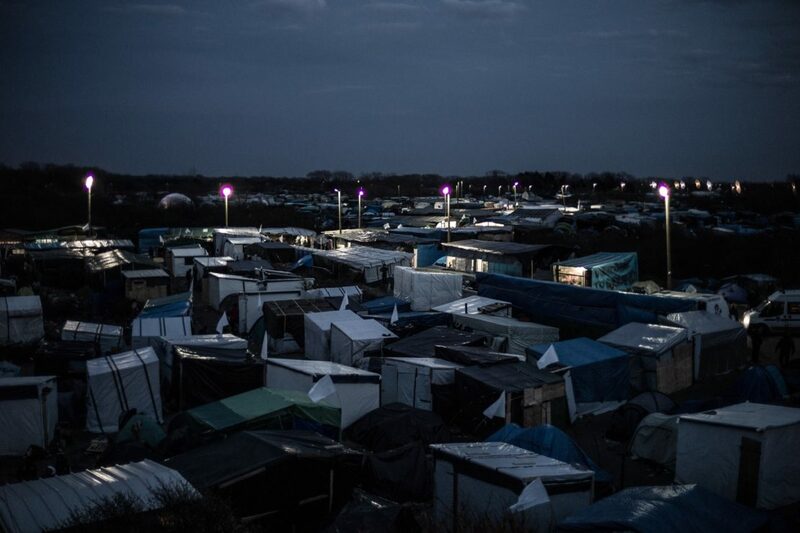 Visiting the area around Calais in northern France that has become an encampment for undocumented migrants and refugees attempting to enter the UK, you might expect to walk into a violent and dangerous abyss. Yet, while the so-called 'Jungle' contains fear and uncertainty for its inhabitants, residents have also created jobs and new lives for themselves out of necessity. 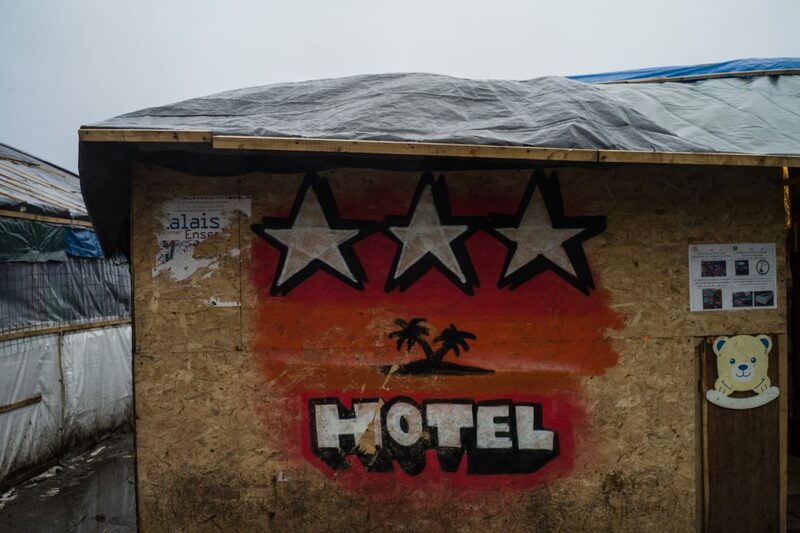 The Jungle is not an official refugee camp: it isn't recognised by French authorities or run by an aid organisation, and receives no government support. 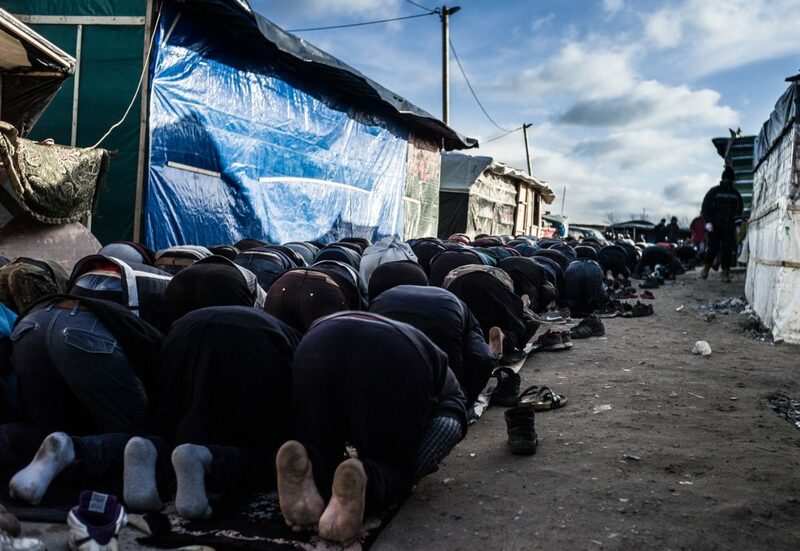 In February, French authorities dismantled parts of the camp in an attempt to relocate some residents. 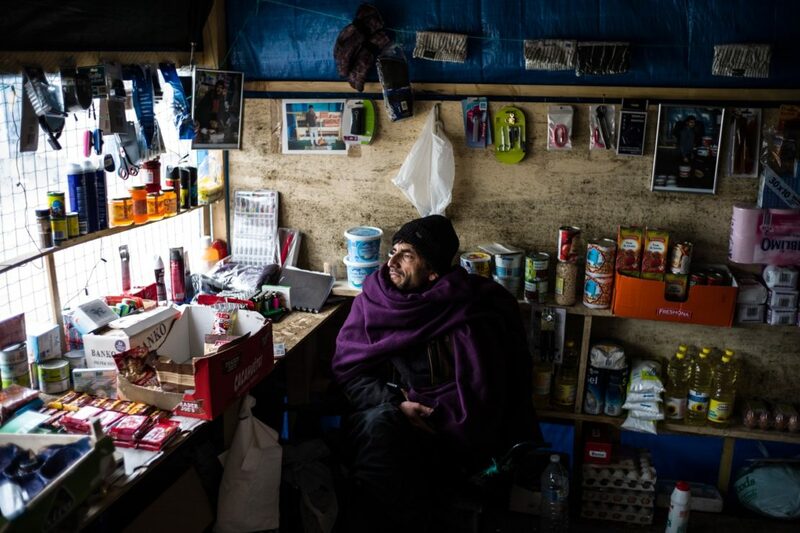 While much has been written about Europe's neglect of those in Calais, there has also been the emergence of a sort of innovation of survival: a place where people who have nothing to their name, who have fled war and left their families behind, build the structures necessary to stay alive; and by doing so create community, culture and enterprise as well. Walking down the main streets you are flanked by shops (pictured at the top of the page is one of the shopkeepers), restaurants, bakeries, barbers, community spaces, nightclubs and – a recent addition – a hotel. Afghans, Eritreans, Sudanese, Syrians, Iraqis and many more nationalities have done this side by side, despite arriving in Calais with nothing and receiving little external support. Nevertheless, the Jungle is a slum, and it's a slum that, given better planning and more forward thinking, could have been avoided. But as one resident explained, "No one wants to live here, we all had better lives back home before it got too dangerous, but if we're going to have to stay here we'll make it like our home." Mohammed was a baker for 10 years in Jalalabad. 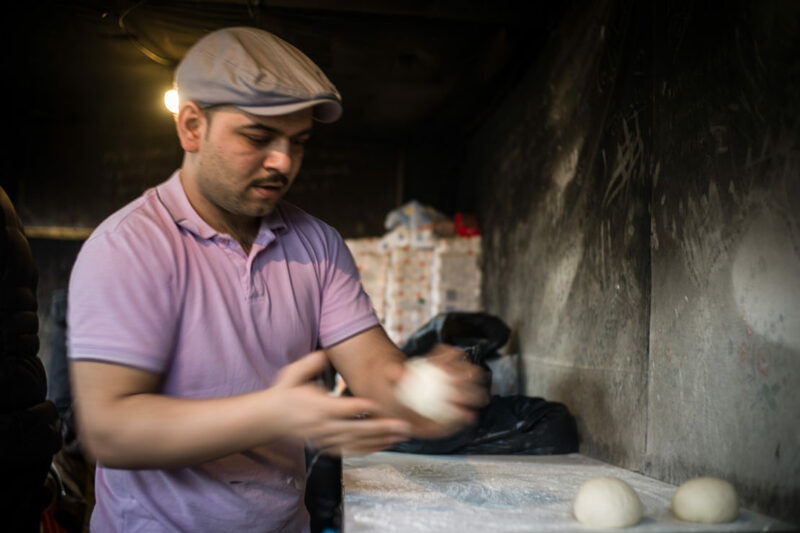 Since helping to build and set up a bakery in the camp a year ago, he has trained three people to work alongside him. Baking and selling more than 350 loaves a day, at 50 cents per loaf, he has one of the busiest bakeries in the Jungle. "I’m happy to be baking again," he says. "But I really dream of being a baker in England, maybe east London." At 35, Sikanadar never envisaged having to flee Peshawar. Eventually, though, the former Pakistani policeman was forced to leave in fear of his life: “It became too dangerous for me to stay,” he says. Sikanadar built his shop in three days, and it’s been running now for five months. “Since the day we opened we’ve never closed," he says. "I do day shifts and my friend does night shifts." Selling everything from Adidas Predators to shampoo and sim cards, Sikanadar represents the organic nature of the camp better than anyone: "When I go to the UK someone else will take over my shop. When they go, someone else will take over the shop from them. If the shop has to move, we can pick it up and move it." 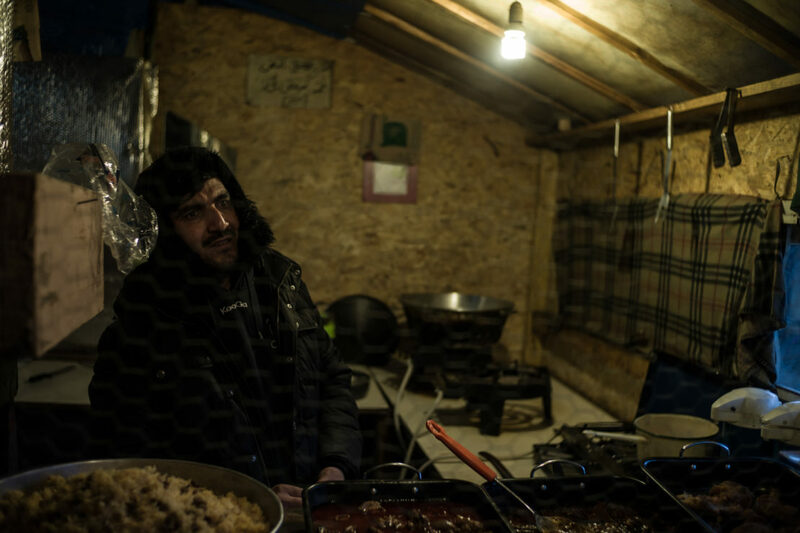 Siraj plays a unique role in the Jungle: while there are multiple bakers, barbers restaurants and cafes, he operates and runs the only hotel, with three guest beds. He was originally a high-school maths teacher from Pakistan, but left after threats were made against his life. 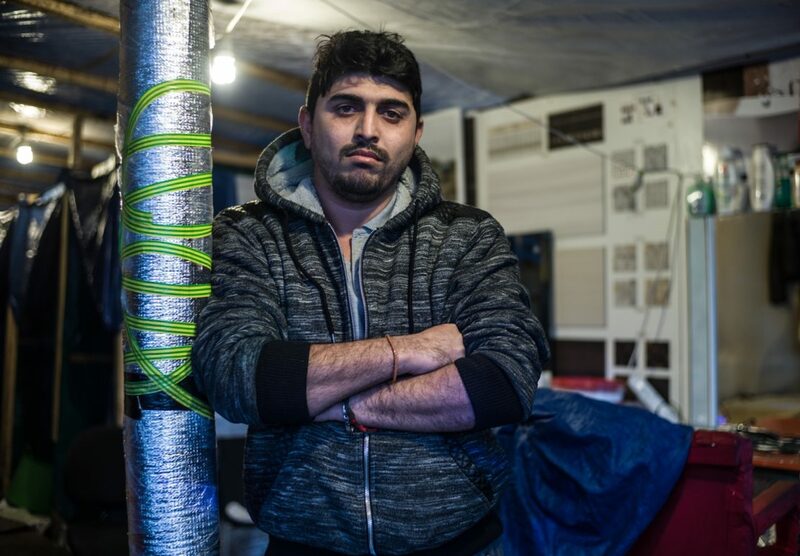 After four months, he made it to Calais. "The hotel was easy to set up," Siraj says. "First we built a house, then we decided to serve food and after that we turned it into a hotel… we did it all in 15 days." Ali has been a barber all his adult life, and he proudly claims the title of first barber in the Jungle. "I built it all: the shed, the chairs I made from old pallets, the mirrors I bought in town, the shampoo is donated and the walls are tiled with sample tiles from a bathroom shop in Calais." "I do 30 cuts a day, each cut is five euros," he says. "It got to so many that I had to train these two." 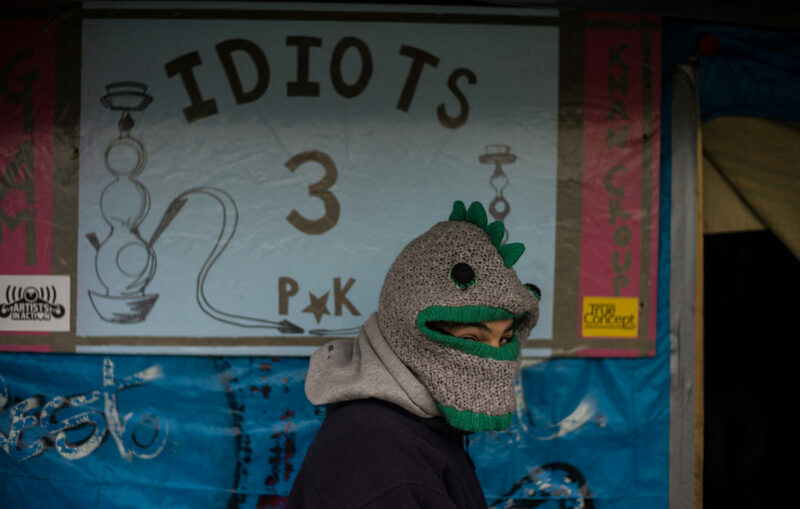 He points to his two sidekicks, Mohammed and Rahim. Ali adds: "One day I will come to England and cut your hair... I think your sides should be shorter." One of the 'idiots' behind the Jungle’s infamous Three Idiots Cafe is Ali Shan. Initially reluctant to tell me his name, Ali says, "Call me Tom Cruise." His cafe is covered in photographs of the actor, and I can assure you the similarities are quite striking. Halfway through completing his MSc in Economics from Kabul University, Ali was forced to leave. He helped set up the cafe as a community centre and restaurant: "We’re having a party here tonight," he says. "For me it's a reason to stay here, we have an income and something to do." "I decorated the room myself," Ali says with pride. As well as being adorned with balloons and bunting, the walls display a 'Better Together' campaign flag from the Scottish referendum: "I've always wanted to go to Scotland," Ali says. "I was very happy they didn’t go." A particularly enterprising fixture in the Jungle is the cigarette factories that have sprung up. 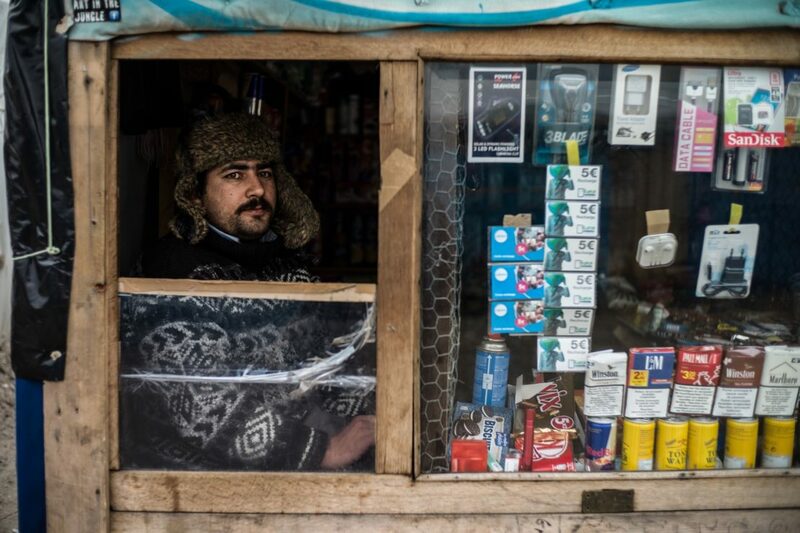 Ramalluha, a former engineer who worked in a Nato-led security mission in Afghanistan, tells me that he and his friends buy cigarette shells and loose-leaf tobacco to produce packs of 10 cigarettes wrapped in silver foil. At €1.50 per pack, they provide the makers with the income to survive.